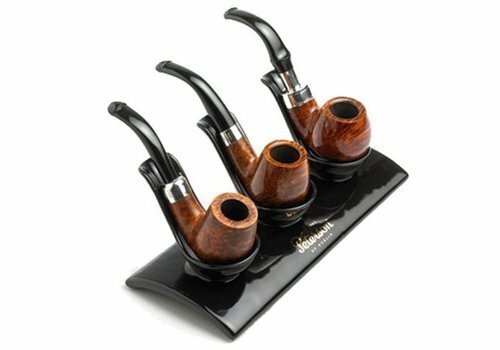 Beautiful Irish, sandblasted black briar pipe. Real amber fishtail mouthpiece for a sterling silver spigot and an extra acrylic army fishtail mouthpiece, without filter. 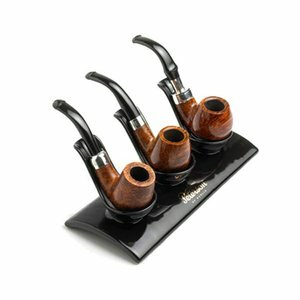 Black ceramic pipe stand for three pipe.